Red light, or speed, cameras are becoming ever more pervasive on the streets today. One inadvertent mad dash across the traffic lanes can get you a fine in your mailbox in a few weeks. 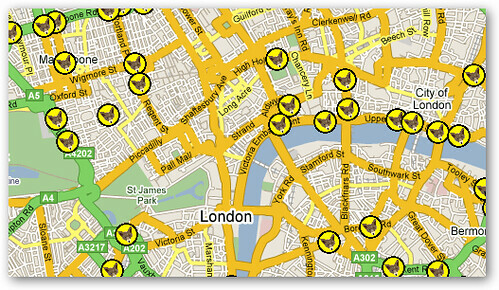 Leading the fight against these tools of driving oppression is FoxyTag, which is a mobile phone application that tells you whether you are passing by any speed cameras based on your GPS coordinates. It also lets you use your mobile phone to mark locations where there are speed cameras. Once you install the program, you can see cameras marked on your mobile phone screen before you pass by them and change your speed accordingly. You can also point out any cameras you see by pressing the number buttons on your phone. European drivers may find FoxyTag most useful at the moment since Europe seems to be the best mapped geographic location. You'll need to have a compatible phone and GPS for the software to work. Thanks for the heads up, Anon! I missed those gadgets while looking over the site initially.